The Managing Editor of Saint Dominic’s Media sat down with the author of The Divine Divine Symphony: An Exordium to the Theology of the Mass to ask him some questions about this new book and his approach to the orthodoxy of the faith. This is your first book on Catholic Theology since 2012. What inspired you to write the Divine Symphony: An Exordium to the Theology of the Mass, after such a long break? I always intended to return to writing about Catholic theology. I thought my earlier books were good, but I knew I needed to develop my academic knowledge and understanding of what we believe as Catholics and why we believe it. I had to be forced to read more and have my thoughts challenged in an academic setting. I also had much room for improvement in my skill level as a writer to communicate the faith clearly and inspirationally. My extensive background as a writer had primarily been in fraternal history, so I’ve had to learn how to write about matters of faith and disregard the notion of being unbiased. My standard for writing as a Theologian has always been Pope Benedict XIV. Certainly, some might say, ‘You are far too hard on yourself to try to measure up to such a brilliant theologian, teacher, and writer,’ and I agree, but if we don’t set our goals high enough, we’ll reach them too soon, and develop an overinflated ego. As I worked on my Master of Arts Degree in Theology from Ohio Dominican University, I had many years to think about what my first book would be after I graduated. For some time I thought it might be a book to finish what I started in my graduate thesis, which was The Preexistent Nature of the Church: The First of the Seven Historical Marks of the Catholic Church, but I decided that I want that book to be my scholarly contribution to Catholic theology. Therefore, I will need to spend more years developing it and writing as precise as I possibly can. So, I decided, and I believe that I was inspired by God to write a book about the Catholic Mass because it has been that one area that frustrated me the most since I converted to the faith. I believe the Liturgy is horrendously taught at every level and in every corner of the Church, and as a result of our failure, disability, and disinterest in truly teaching the Mass is why the world is sick. I talk a little about this motivation and the consequences of our failure in the Proem of the book. Yes! You said in the Proem of the book that our inability or disinterest in teaching the Liturgy opened the door to modern Apologetics to become the main platform for teaching the faith, and that was in error. Could you expound further upon that? Well, since the 1990’s the version of popular American Apologetics emerged, lead by the schools Karl Keating, Peter Kreeft, Patrick Madrid, Dave Armstrong, Michael Voris, and a collection of others at Catholic Answers and beyond, have dominated the idea of what it means for a Catholic to understand their faith. As valuable as this form of popular American Apologetics has been, and as many people who it has helped lead into or back into the Church, I sometimes wonder how much harm it has caused. What I mean is that this form of Apologetics attempts to teach through the minutia of the ‘Dim of Protestantism.’ Moreover, Apologetics is not Theology – it does not require faith to believe it, and for that reason also it can tend to do more harm than good when it pretends to pose itself as Theology. 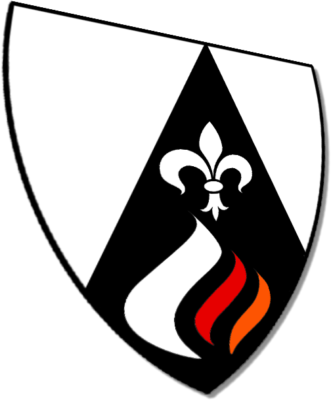 The ‘Dim of Protestantism’ is a term I coined when I used to teach theology at Kolbe Academy. My students were able to articulate this concept very well. That is, Protestantism has no light of its own to shed upon Catholicism. It has nothing true to say that the Catholic Church doesn’t already hold to be true. It is a dim light that has nothing to offer and nothing to say regarding the fullness of the faith. Moreover, beyond just some plain facts, Protestantism and Catholicism have very little in common with each other. I accept the Vatican II pastoral concept of calling those who are rightly Baptized our separated Brothers and Sisters, but that is distinct from the Protestant religious system, which is, once we move beyond the cursory level of plain facts, an entirely different religion than Catholicism. Beyond the cursory level of plain facts, Protestantism is barely closer to Catholicism than is Mormonism or Islam. Therefore, when we attempt to explain Catholicism through the Dim Light of Protestantism, we water down, mutilate, and undermine the truth, beauty, value, and dignity of our faith. Moreover, by attempting to teach what is true, through what is a lie, we set a standard for truth so low that it cannot be fully distinguished from the lie. Popular American Apologetics has helped many souls, but the great harm that it has done was elevate Protestantism to be on equal footing with Catholicism. We enter into debates with Protestants as if what they have to say has any measure of truth, outside of what we already know to be true. We attempt to explain why what we believe is true by first explaining why what they believe is wrong, which presupposes that what they believe has some merit, or that what they believe could be true and is merely an area of disagreement. I truly wish it was not this form of popular American Apologetics that captured the Church. I wish it were the Liturgists and not the Apologists. This idea that we can teach what is true by not connecting to what is our central truth and highest form of worship is an idea that predates American Apologetics by hundreds of years. As I said in the Proem, “We have danced outside of the ballroom and with a partner who is ours; swam on dry land without a bathing suit, and performed a play far from the stage and lights and without an audience.” We’ve had a disordered way of teaching the faith for a very long time. 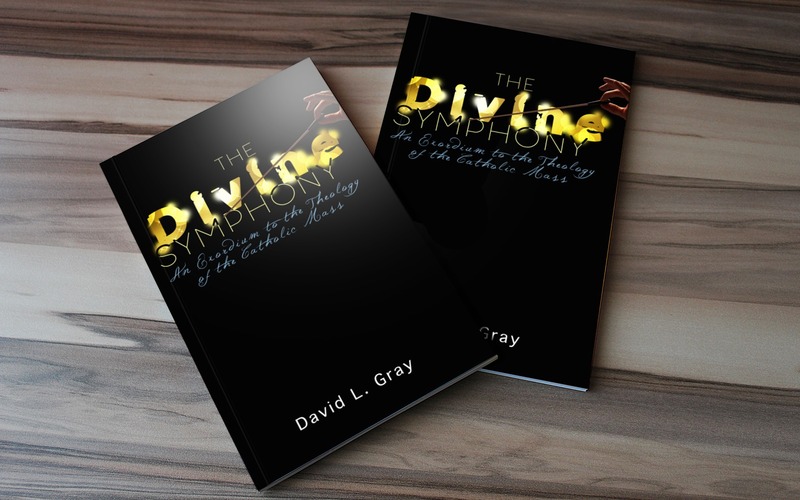 The Divine Symphony was my attempt at trying to inspire a return to the orthodoxy. If the Mass is going to be a source of healing for the world, everything we teach about what know to be true has to be connected holistically to the Liturgy of the Mass. I don’t even care for all of these books and videos that just want to talk about the Holy Eucharist as if the other movements of the Mass are meaningless. Those efforts that isolate the Holy Eucharist away the whole Mass are also harmful. As I repeated numerous times in The Divine Symphony, we have to stop thinking of the Mass as consisting of distinct units and parts. The Mass is one. Yet, we continue teaching that it consists of things we say, things the Priest says, times we stand, and times we knell. It is not that! It is as far from that as the center of the Earth is to ends of the Universe. But that presentation of the Mass as being some sort of a la carte menu is why we have so many cafeteria Catholics. We present the highest and central form of our worship as pieces and parts and then wonder why so many Catholics pick and chose what they want and do not want to believe. This style of teaching the Liturgy is harmful and dangerous. I hope my book inspires others to reevaluate how we express this great truth of our faith. Why did you choose to go with the word ‘Exordium’ over, simply, ‘Introduction’? I just thought it was a fancy word and made for a great title. No… seriously. For the same reason, I used the word ‘Proem’ rather than ‘Preface’. I thought it was important to write with as much theological precision as I could, without confusing the matter at hand. That is, being that the Mass already includes an Introductory Rite and the Liturgy of the Eucharist already includes a Preface, there was no reason to speak of another Introduction or another Preface as if my Introduction and Preface were of any value. The idea of the Catholic Mass is a type of Symphony Orchestra is new, but how does it compare to other more traditional analogies? That is a great question. To be sure, eventually, all analogies fall apart. They are all very limited and most especially so when we are speaking of Divine and sacred things. Yet, the Mass as a type of Divine Symphony is a much better analogy than the Mass being a type of ‘play,’ because plays are fiction – they are not real. We just can’t get around that essential starting point of a play, regardless of some of the other dramatic elements that it shares with all liturgy and ritual. In the opening of The Spirit of the Liturgy, Joseph Ratzinger wrote a wonderful treatment on the Mass as of type of ‘play.’ Another popular analogy is the Mass is a type of ‘wedding feast’ or type of ‘banquet.’ Again, these are ideas that have a great deal to say about the Liturgy of the Eucharist at the cost of killing or minimizing the other three movements. I did not press deeply the comparison between a classical symphony orchestra and the liturgy, but the areas of interest or the four movements, the continuity between the whole composition, the instrumentality, the changes in tempo, subjects, and theme, the idea of a symphony composition being a story. If the Mass is a type of symphony orchestra composition, what is its name? You are correct. Every symphony composition has a name or at least a number. In the case of the Liturgy of the memorial sacrifice, it is called, ‘Ite Missa, est,’ which are the words of dismissal in Latin – “Go you are dismissed.” Every liturgy of the Universal Church – from East to West – has had some form of final blessing which included some type of charge to the People of God that they take what they have received in the Mass and go out into the world to transform it unto Christ by being a Eucharistic People. This is the name of the Divine Symphony. We are dismissed, not for nothing, but for love, so that we might be love in the world. One thing I enjoyed most about the book is your incorporation of classical symphony theory and history. How were you able to balance the necessity of that incorporation without it becoming a distraction? It was with some measure of difficulty, because I have a great affection for classical symphony orchestra music, and I greatly appreciate its history and development, and how so many of the great composers were Catholics, and you can hear how the Liturgy influenced their work. That being said, as much as I wanted to include more history and music theory, I had to frequently remind myself that I was writing a theology book, not a music history and theory book. You drew upon Pope Benedict XVI, The Spirit of the Liturgy and Robert Cardinal Sarah’s The Power of Silence a number of times for deeper exposition. Is your interest in their theology only contained to their ideas on Liturgy, or does it go beyond that? My passion to read everything ever written by Pope Benedict XVI (former Joseph Ratzinger) is well-known among my Catholic friends. If you read my book Life with the Cross: the Bridegroom’s Prayer, I think it comes through that early on I reborn into the Communio School and heavily influenced by Benedict XVI. Due to my exposure in grad school to so many other Catholic writers, I think I have finally settled down into my own expression of the orthodoxy, but as I said earlier, Benedict XVI is still my standard. As for Robert Cardinal Sarah, I am a new fan of his, and I find him to be the most honest Catholic theologian writing in our present day. He writing is refreshing, and his expression of the orthodoxy is needed more than ever in the Church today. One of the things that you’ve carried over from your earlier works is incorporating your personal experience into your theology. Why is that an important tool for you? Here, again, I think is one of those areas where I have matured, but haven’t lost myself to scholarly Theology. I think stories are essential to Theology, because if Theology is, as Saint Anselm said, “Faith seeking understanding,” then how better can we seek that understanding of God than through the lived experience? Isn’t that what sacred Scripture is – stories of encounters with God? I think I may have included too many stories in my Life with the Cross series; to the point that they became almost autobiographic. So, in The Divine Symphony, I was extremely cautious to make sure that the stories I shared were immediately connected to the instant case. I think I was successful at that, and the stories include this time add value to the subject being discussed, and also gives some breathing room concerning some topics that can be weighty to digest. I’d like to talk now about one of the most common phrases used in your exordium; it is what you all ‘the principal purpose of the Mass. Indeed. This is one of the key terms of the work. The principal purpose of the Mass is to make Christ present to His People. I do not have space here to go on and explain all the consequences and fruits of that Presence of Christ, other than by saying that the Mass intends to divinize the Baptized; to truly conform them to the image of Christ Jesus. There are many fruits of the Mass, but they all grow out of that principal purpose. The understand the principal purpose of the Mass is to know why all People should know it, love it, and praying it from the rising of the sun to its setting. How do we live the Mass in our daily lives? In The Divine Symphony, I go to great lengths in each of the movements to inspire the reader to live the Mass. Again, you can go to any Catholic bookstore and find all types of books on spirituality and Biblical-application, but I promise you that if we just diligently try to live our lives in union with and in reflection of the Liturgy we will become saints, and the world will be healed. There are a lot of loaded words and deep theological significance in what I am saying here, but it is simply to say that to know the Divine Symphony is to know how to live. It is true, all People are better off when they know, love, and pray the Catholic Mass. There is nothing to see here people. Keep Moving!